Matchmaker and Author of "The Matchmaker of The Century"
According to the United Nations Statistics Division which collects official data on marriage and divorce from over 200 countries on an annual basis, United States rank #5 in the world in divorce rate. A study done by a US divorce lawyer indicated that married adults now divorce two-and-a-half times as often as adults did 20 years ago and four times as often as they did 50 years ago. Between 40% and 60% of new marriages will eventually end in divorce. However, if separation and divorce has become the 'normal' consequence, what would become of our society if this marriage trend continues? "Society falls apart when you break apart the family unit." 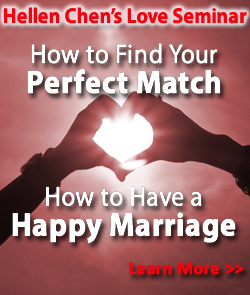 said marital expert and matchmaker Hellen Chen from Los Angeles. "The impact of a failed relationship is more than what most people are willing to admit. A failed marriage affects the individual, the younger generation and if this is widespread, it will bring down the morale of a society. It is not as glorified as Hollywood made it out to be." Chen said. 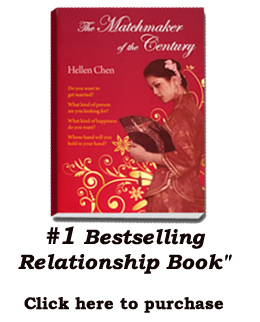 Having brought together many married couples who had been resistive about marriage in the first place and then helping them to stay in marriage afterwards, Chen shares real-life stories in her latest book "The Matchmaker of the Century". "I have written 19 books so far on the subject of marriage, family and the responsibilities of individuals." said Chen, "Having lectured around the globe and meeting many people from all walks of life, I can tell you that this education on marriage and relationship has been missing for most people." According a recent Census Bureau report, the divorce rate of second or third marriages is just as high as first time marriages, if not higher. Thus the second or third time round may not necessarily be a charm. "Educating someone on marriage is like getting sufficient water prepared for someone who will be walking in the desert -- it is a must!" Chen emphasized. To increase marriage education and awareness for the public, Chen started a national “I Am There For You" Movement. This movement is about preserving families and marital relationships in the US and in all parts of the world. Chen said, "We have been taught to walk away from problems. If you don't like a job, quit. If you don't like your parent, just stop talking to them. If you don't like your spouse, divorce. Thus this campaign encourages people to take a different attitude. Instead of saying, 'Who cares?' Why not say, 'How can I be there for you?'" Barnes and Noble is launching Chen's new book, "The Matchmaker of the Century", on October 3rd 2012 Wednesday. In support of the "I-am-there-for-you" movement, Barnes and Noble is offering the book at a 35% discount - a one-day only special –on Oct 3rd.